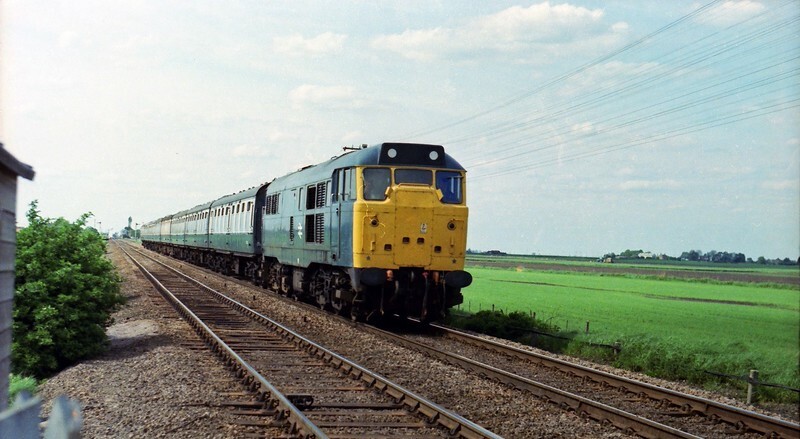 31259 heads across a flat fen landscape with the 1236 Birmingham New Street to Norwich, East of Manea. The station signals can just be made out in the background. Image dated 19th May 1979.